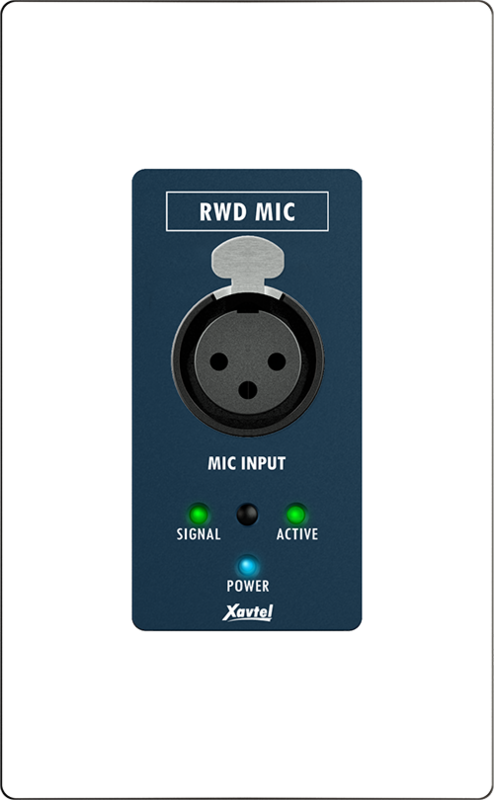 The RWD-MIC is a microphone input remote which comes with a balanced 3-pin standard XLR connector for microphone, plus 3 status LEDs (power on/off, signal, active). The RWD-MIC is powered via standard STP CAT5/6 up to 820 ft/250m through OCTO-Link. 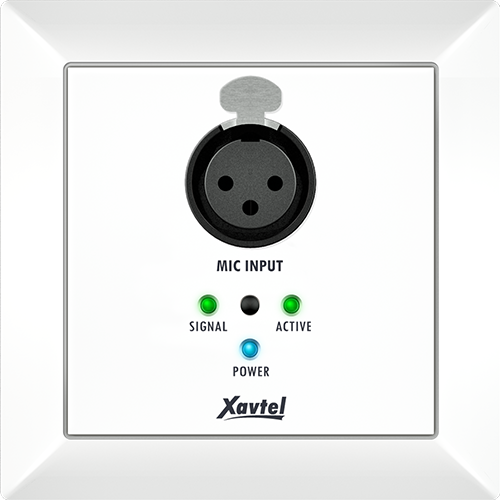 If the control signal of RWD-MIC is not strong enough, the RWD-MIC can connect to DLR01 Digital Loop Repeater. And if the power of RWD-MIC units is not enough, the RWD-MIC can connect to a 24 VDC local power on DLR01 Digital Loop Repeater. The RWD series also comes with a IR receiver built-in for user to control the unit without standing in front of the machines. All of these devices can be integrated into our life and create a truly smart homes/offices. The RWD-MIC fits in both standard US and EU type of wall boxes for in-wall or surface mount applications.